Listing in the national award winning Membership Directory & Community Resource Guide. Listing in the Tustin Chamber Website Directory. Cost-effective flyer inserts in the monthly newsletter. Affordable mailing labels of the current Chamber membership. Ceremonial activities including grand openings and ribbon cuttings. Business spotlight in the monthly newsletter. Business cards and/or marketing brochures displayed at the Chamber’s Information Center. Governmental Affairs Council dedicated to studying proposed legislation as well as monitoring government actions affecting businesses. Through the Chamber, we work hard to make your voice heard. 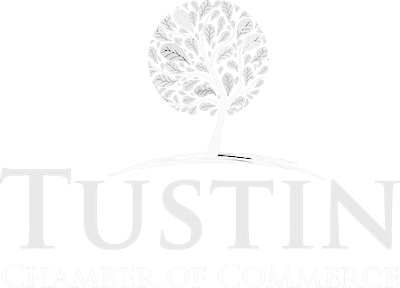 Business & Economic Development Council which promotes business growth in association with the city of Tustin and business community. BEDC’s Education & Workforce Development Committee promotes partnership programs with local schools, businesses, and educational institutions. Informative monthly newsletter, The Advocate. “Weekly Updates” sent via e-mail. Networkers luncheon meeting every week with infomercials given by Networker members only. Business breakfast every month with exciting guest speakers. New Member Reception every quarter. Committee meetings and special events offer a wide variety of opportunities to meet new prospects. Members may add an ‘accredited member’ banner to their website. This adds credibility that you are a member of the Chamber of Commerce in good standing. You can link this banner back to your business listing page in the Chamber of Commerce Directory for more exposure for your product & services. Adding the banner to your site is very easy. Give these instructions below to your webmaster or if you have access to your web pages, you can add them yourself.